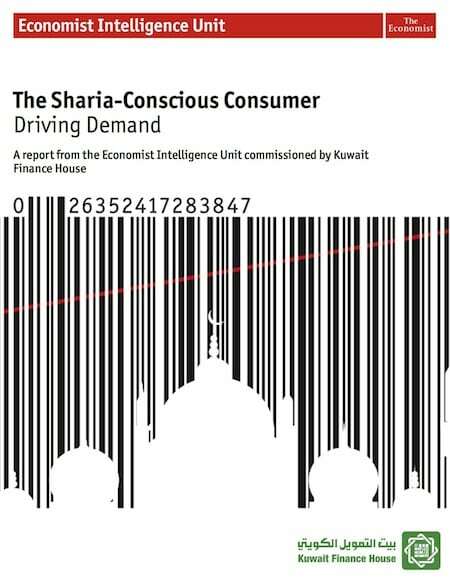 The Economist Intelligence Unit carried out 13 in-depth interviews with executives of companies from the Shari’ah industry to produce the report, The Shari’ah-Conscious Consumer: Driving Demand, commissioned by Kuwait Finance House. “The research highlights the global nature of this business and the evolving dynamics across different regions,” said Trevor McFarlane, Senior Editor for Continental Europe, the Middle East and Africa for the Economist Intelligence Unit, who directed the study. The Shari’ah-conscious consumer market is growing worldwide. More than one-half (54 per cent) of survey respondents say that the market for Sharia-compliant products and services is already significant for their business. Asked the same question but for their business in three years’ time, the number of respondents giving the same answer jumped to 68 per cent. Businesses are seeing this translate into sales: over one-half (51 per cent) of respondents are currently enjoying annual growth in revenue of at least 5 per cent, while 34 per cent are registering higher than 15 per cent growth. Religious conviction is a major driver of demand. When asked to select the top three factors influencing demand, most (56 per cent) respondents chose the growing acceptance of Islamic precepts. Muslim population growth in both Muslim (46 per cent) and non-Muslim (39 per cent) countries were also cited as important drivers of demand. The market divides into three geographic segments: Muslim majority countries, “mixed culture” countries (eg in South-east Asia), and non-Muslim countries. Muslim-majority countries are seeing the fastest-growing demand. When asked to select the top three regions where Shari’ah-oriented demand is currently growing strongest, 70 per cent of respondents chose the Arabian Gulf countries, followed by North Africa (36 per cent) and South Asia (34 per cent). In three years’ time, respondents see largely the same trend: around 62 per cent selected the Arabian Gulf countries, while 41 per cent picked North Africa and 38 per cent see growth in demand coming from South Asia. Halal food and Islamic finance are the mainstays of the sector, with halal-friendly tourism and Islamic fashion showing future promise. Respondents see food and finance as having the fastest growth, both now and in three years’ time. Improving standards related to issues such as labelling and marketing communications could help to accelerate that growth. More than four-fifths (81 per cent) of respondents say labelling products as halal is an important factor for consumers. Lack of professional management among product and service providers is a major barrier to growth. A significant proportion (44 per cent) of respondents says that poor management and insufficient market awareness on the part of producers holds back development of this sector. Almost as many (42 per cent) say that a lack of convincing branding for products and services blocks growth. Standardisation and certification, a troublesome issue within the global market for halal food, is seen by industry experts as a must for further development of the halal food segment. Islamic finance is seen as an important enabler for the broader industry. More than one-half (55 per cent) of survey respondents cite access to Shari’ah-compliant finance as important to their business. An even higher percentage (58 per cent) says that easy access to such finance is crucial for their customers as well. Demand for Islamic bonds (or Sukuk) is expected to grow. Nearly 30 per cent of survey respondents say they expect demand for Sukuk to grow strongly, a view shared especially by those who work in finance. With international banks, particularly European ones, providing less loan capital in order to meet stricter risk management guidelines, banks and other lenders in the Middle East and North Africa (MENA) are expected to take up the slack. Their Shari’ah-compliant lending is expected to focus on financing infrastructure and construction. This points toward growing future demand for Islamic bonds to finance large-scale projects, particularly around the Gulf. In future, firms will have to show that they share the values of integrity and community to which Muslims aspire if they are to win the Islamic market. When considering what best promotes demand for goods and services that comply with Shari’ah over half (52 per cent) of survey respondents point to a reputation for honesty and integrity on the part of the company offering the goods or services.